When President Donald Trump announced the US exit from the Paris climate deal one year ago, the mayor of Philadelphia was among those who vowed to keep carrying the torch. 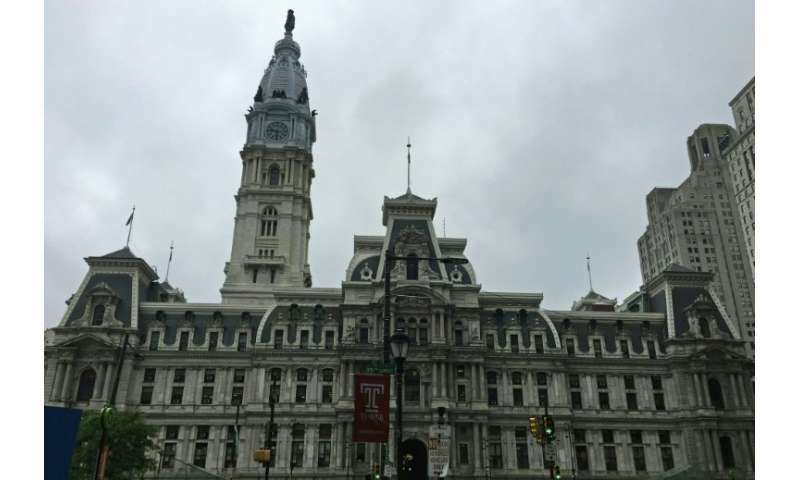 "Philly is committed to upholding at (the) local level the same commitment made by the US in the Paris climate agreement," tweeted the sixth largest US city's mayor, Jim Kenney, a Democrat. Here, 85 percent of residents heat their homes with natural gas, a fossil fuel that is abundant in the rocks beneath Pennsylvania. Cars and trucks rumble through downtown—and more than half of the electricity the city gobbles up each day is produced by oil- and coal-powered power plants. "It can't be done by cities and states. We do need a completely clean, carbon-free grid to meet this goal," said Christine Knapp, director of the office of sustainability for the city of Philadelphia. "We're going to take the pieces of cleaning that grid up as much as we can, but someone still higher than us needs to set the policy that that's what's going to happen." Philadelphia is among some 2,700 cities, states and businesses that declared "We Are Still In" when it comes to the 190-plus nation Paris accord, signed in 2015. Add to this Trump's cancellation of the Obama-era federal anti-pollution "Clean Power Plan," which was expected to lead to numerous plant closures. 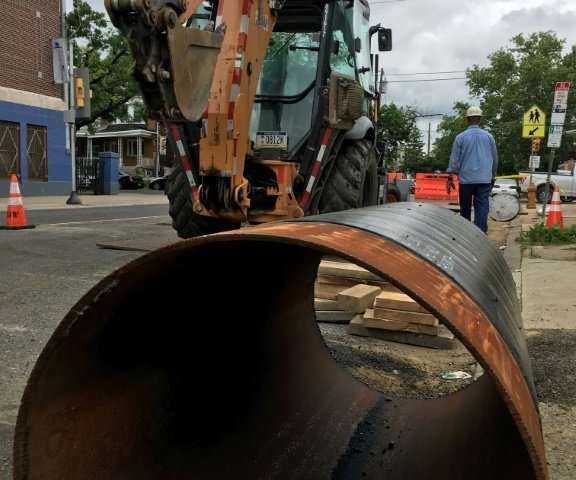 In the end, the market may be the biggest force at play in Philadelphia's drop in emissions, with natural gas prices falling below the price of coal and gaining market share. "Natural gas is not coal, it's not oil," said Barry O'Sullivan, director of corporate communications at Philadelphia Gas Works. "We're saving a lot of steam," said Charles Williams, capital project engineer at the Philadelphia Museum of Art. Beyond these budgetary gains, the renovation is a window into the city's efforts to prove its goodwill. That's the silver lining of Trump's anti-climate actions, which Knapp said have shocked local actors and businesses into increasing their own engagement. "And those actors are going to show the rest of the world that we're not completely insane, and try to keep us afloat until the federal government steps back in," she said.